For the first time in several years, UNESCO board meeting to postpone vote on anti-Israel resolutions. 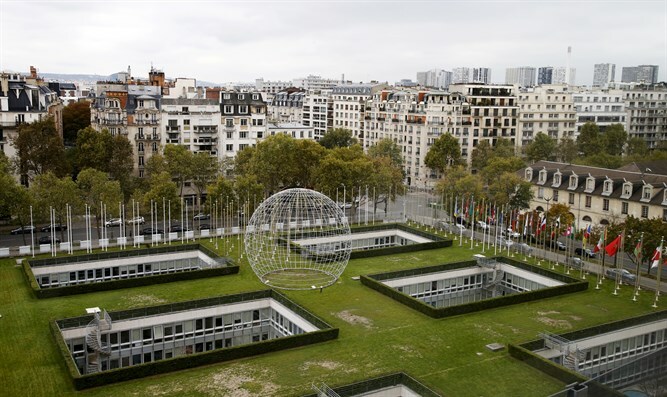 UNESCO's executive board will meet next week in Paris, but for the first time since April 2013 will not vote on any anti-Israel resolutions. It will, instead, vote to put off those resolutions for six months in two resolutions to be presented by board chairman Michael Worbs and which are expected to be unanimously accepted. For years, Arab countries including Jordan made sure to bring an anti-Israel resolution to a vote three times a year at the board meetings and World Heritage Committee meetings. The change in policy is due to behind the scenes efforts of Israeli diplomats, who worked to enlarge the bloc of pro-Israel countries in UNESCO. While in 2014, the only pro-Israel country was the USA, the pro-Israel bloc numbered ten countries at the last meeting of the organization. Israel has not promised anything in exchange for the support, but reiterated its stance that politics have no place in UNESCO. Carmel Shama-Hacohen, Israel's envoy to UNESCO, raised eyebrows last week when he attended a UNESCO evening sponsored by Jordan in honor or the Jordanian king's niece and was introduced to her by the Jordanian ambassador. Referring to the postponement of the anti-Israel resolutions, the envoy said on Saturday night that "until I hear the chairman declare it in the meeting, I won't believe it's true." "From my perspective, I need to write two response speeches [just in case]," he said. "It's not pleasant when they decide against you....we have decided to see this change as a significant decision, and as a precursor to the end of the anti-Israel resolutions." "However, delaying the vote on these resolutions by at least six months....is not enough. With time we will learn if this is a tactical change or actual progress. "Peace will not come through UNESCO, but confidence-building steps can be taken." In July, UNESCO's World Heritage Committee announced their decision to award Israel's Cave of the Patriarchs (Me'arat Hamachpela) to convicted terrorist and Hevron Mayor Tiyassir Abu Sanina, as a representative of the Fatah's Palestinian Authority. UNESCO passed a resolution in May condemning Israel’s actions in Jerusalem and in Gaza. In October 2016, UNESCO published its decision that Israel has no rights to Jerusalem, and that Jews have no connection to the Western Wall and Temple Mount.